John Kenneth Muir's Reflections on Cult Movies and Classic TV: Millennium Sunday: Back to Frank Black Interviews Chris Carter! Millennium Sunday: Back to Frank Black Interviews Chris Carter! Back when I lived in my yellow house in Monroe, and before my beloved son Joel was born, my wife and I would have what we called "Millennium Sundays." What that amounted to, in practice, was a pancake breakfast, hot coffee and a mini-marathon of Millennium episodes, usually two or three in a row. Well, 18 years after Millennium premiered, I hope you are enjoying a Millennium Sunday! The time of year is right, with Halloween approaching, and the amazing, dedicated folks at Back to Frank Black have just conducted a brand new, anniversary podcast with series creator Chris Carter. 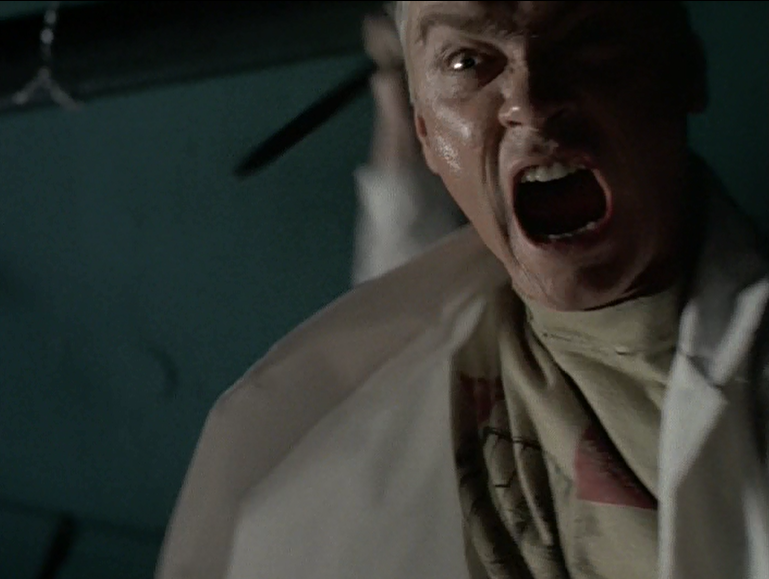 Meanwhile, over at Flashbak, check out my latest article, which tallies the five scariest non-supernatural episodes of the Lance Henriksen series. "With Halloween fast approaching and the welcome announcement of a new IDW comic-book based on the beloved series, it seems an ideal time to remember Millennium, one of the creepiest and most imaginative horror programs in the medium’s history. 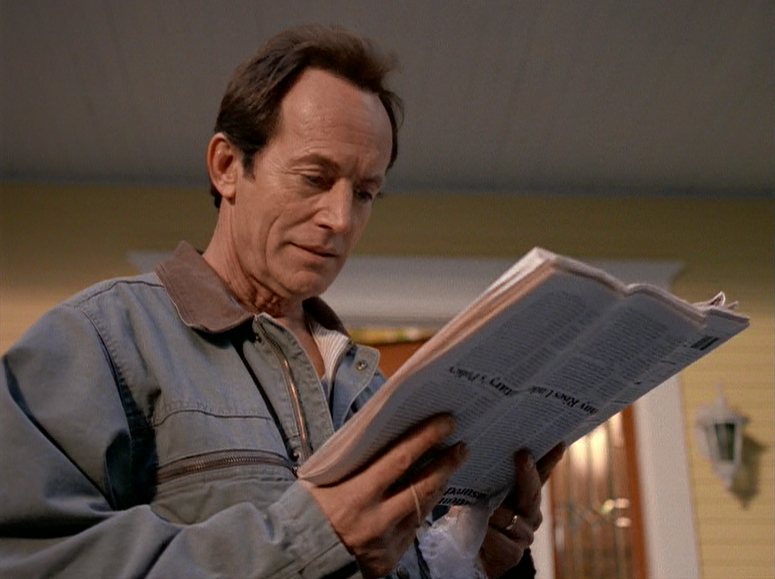 Millennium starred Lance Henriksen as ex-criminal profiler and family man Frank Black: a Seattle-based investigator looking into the human heart of darkness. As the series commenced, Frank became a consult for the Millennium Group, a cadre of former law enforcement officials who were still in the game, and who sometimes seemed to have a shadowy agenda of their own. While he attempted to keep the darkness of his work away from his family, including wife Catherine (Megan Gallagher) and daughter Jordan (Brittany Tiplady), Frank also investigated some of the most horrible crimes -- and criminals -- imaginable. Although some stories featured a supernatural bent -- including Darin Morgan’s “Somehow Satan Got Behind Me,” and the terrifying “Lamentation,” -- Millennium’s bread-and-butter seemed to be human-based terror; or terror that lurks within us, or in those of us who had been broken by the world. So, excluding supernatural forces such as Sarah-Jane Redmond’s Lucy Butler, here are my selections for the five scariest episodes of Millennium..."